The Crested Butte Mountain Bike Association is excited to unveil our hopes and dreams for the next five-years of trails in the North Gunnison Valley! Come learn about our plan to connect our trails and get riders off the roads. Hear from local stakeholders, ask questions, and voice your opinion! Take a peek at our proposal outlined in the chart on the right. Please know that NONE of these trails are set in stone. 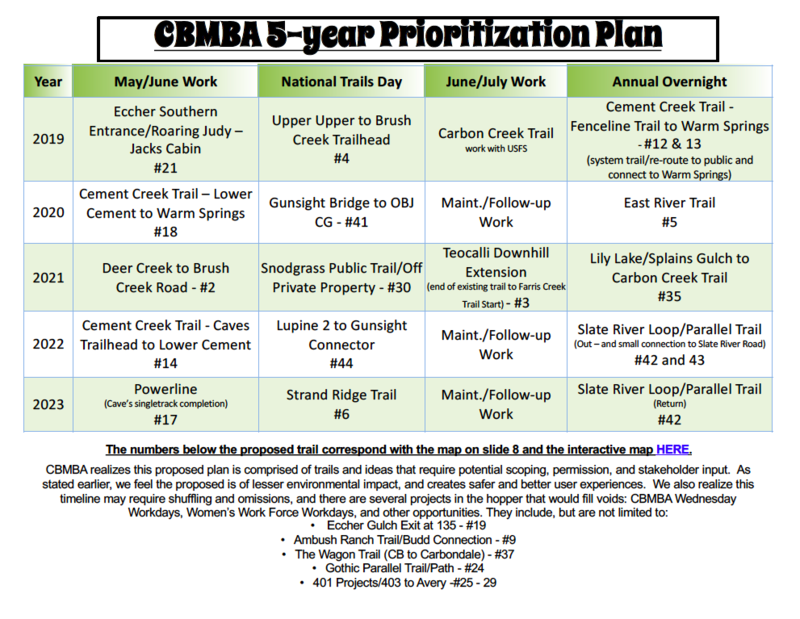 It’s all just a proposal, but we believe it will help use move towards a healthier, safer, and more sustainable trail network! The Crested Butte Mountain Bike Association’s mission is to build, maintain, and advocate for sustainable trails and to conserve the landscape of Crested Butte and beyond. 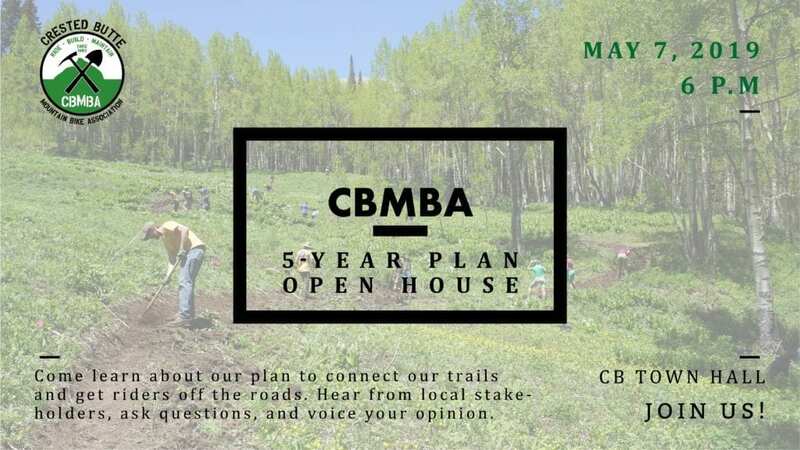 CBMBA believes that recreation engenders authentic connections to the environment, thereby developing environmental awareness and stewardship. The goal of the plan is to strike the right balance between recreation and conservation: improving recreation opportunities while conserving existing uses, habitat, and precious natural lands. We’d love to hear your thoughts! Together, we can make a plan that does more to get you connected to the lands you love!